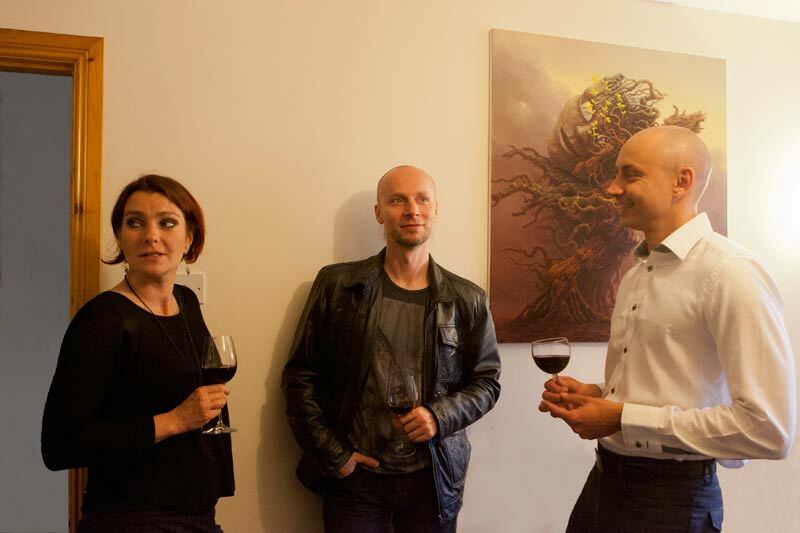 I had a great pleasure of meeting Tomasz Alen Kopera and his lovely wife Anna in Krakow in the mid March 2015. 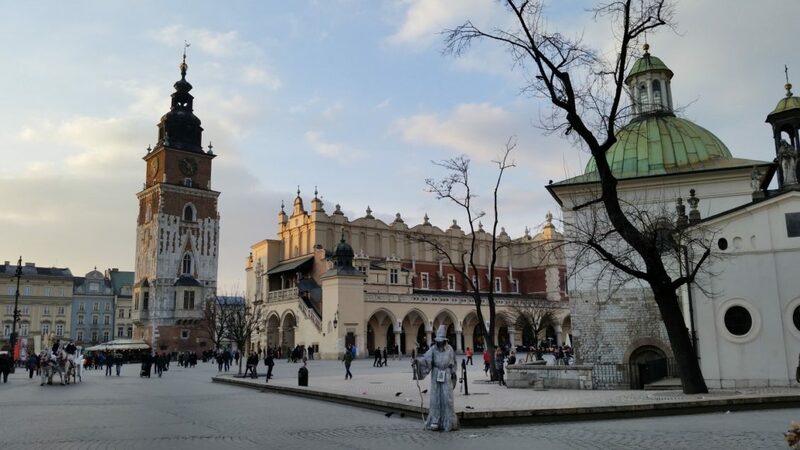 It was a rather leisure trip to this beautiful city in Poland, however, we have as usually, discussed some of the upcoming events of 2015. 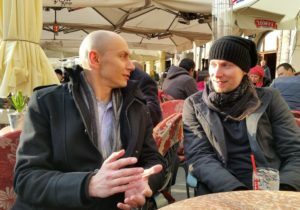 Krakow is one of the Tomasz’s favorite cities in Poland and I had a chance to experience it’s amazing atmosphere, people and local treats together with Tomasz and his wife. Some of you may recognize the place from the photograph below – its the famous “Piwnica Pod Baranami”, the place known for its strong connection with artists and the world of art. 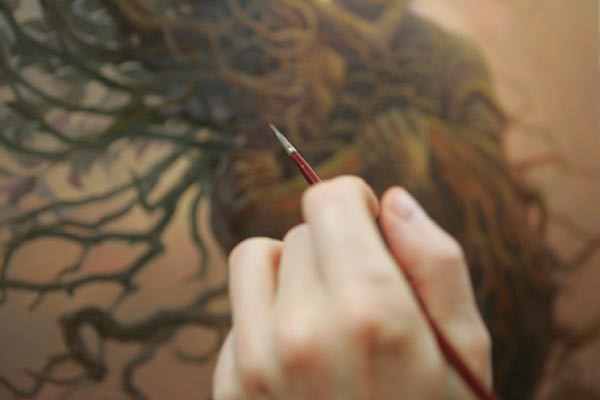 I will have more news for you, new paintings by Tomasz Alen Kopera and much more in the coming weeks. W połowie marca miałem wielką przyjemność spotkać się z Tomaszem oraz jego urocza żoną Anią w Krakowie. Podróż do tego pięknego polskiego miasta miała raczej charakter wypoczynkowy, jednak jak zwykle znaleźliśmy czas aby podyskutować o nadchodzących w 2015 roku wydarzeniach artystycznych. W jednym z ulubionych polskich miast Tomasza, miałem możliwość wraz z nim i jego żoną doświadczyć niesamowitej atmosfery, poznać mieszkańców oraz spróbować lokalnych potraw. 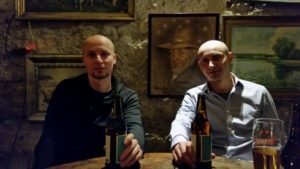 Z pewnością niektórzy z Was rozpoznają miejsce z poniższej fotografii – to sławna “Piwnica pod Baranami” – lokal, w którym występowało wielu znanych polskich artystów. Wkrótce będę miał dla Was nowe wieści, a także nowe obrazy Tomasza Alena Kopery. This is just a word of Thank You! to all who attended the art show / exhibition in Dublin. It was a great success. 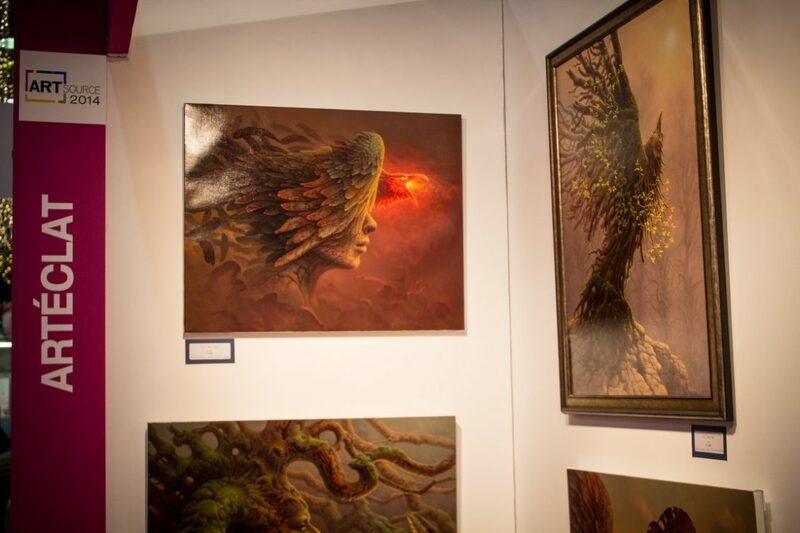 The Artéclat stand with Tomasz Alen Kopera’s artwork was attracting a lot of very positive attention. Thank you for all your warm comments and engagement in conversations regarding the Artist himself and his paintings. I have since been in touch with Tomasz and have passed him all of your kind words, greetings and opinions. As you can see from the photograph, the Artist couldn’t have been happier. For more photographs of this exhibition in Dublin event please visit us on Facebook. The exhibition is in less than two weeks time and we just want to give you some more information regarding the entire show. The exhibition will take place in The Royal Dublin Society (RDS) and will be a part of an annual Art Fair organized by Art Source, which is the largest gathering of artists, galleries and art lovers in the island of Ireland and it’s a fantastic opportunity to experience, enjoy and purchase artworks from every discipline. Running from Friday, 14th November to Sunday 16th November, Art Source is a unique event which will feature work from hundreds of artists and galleries. Click here for the link to the show. Artéclat will have our own stand – G21 – and we will be showing a fantastic collection of 10 paintings by Tomasz Alen Kopera. Some of the paintings were never shown before, therefore it is a very unique opportunity to see them before anyone else. All the paintings presented at the Art Show will be available for purchase. We can now officially confirm that the exhibition will take place in RDS in Dublin, 14 – 16 November 2014. The exhibition will be a part of annual Art Fair, and Artéclat will have our own stand. 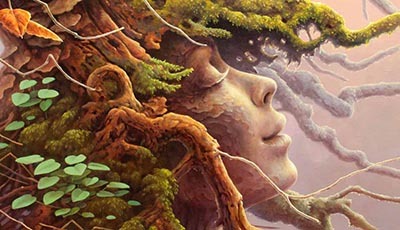 We will be showing a very special collection of art by Tomasz Alen Kopera, created exclusively for Artéclat exhibition. This will be a unique opportunity to see the artist’s creation at it’s best, the work of art that is known for its perfection and astonishing imagination of its creator. We invite you to our Artéclat stand where you can enjoy the beauty, sensitivity and incredible emotions emanating from the art by Tomasz Alen Kopera. 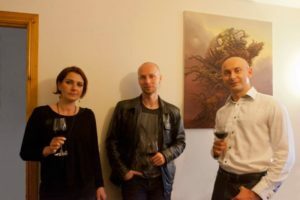 Artéclat is very happy to announce that we are currently in the process of organizing a first dedicated and unique exhibition of Tomasz Alen Kopera ’s new paintings in Dublin. More details coming soon. 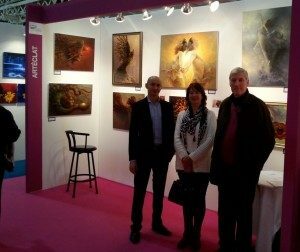 Alen’s selected oil paintings will be shown at Dublin’s Antiques Art & Interiors Fair in RDS this month, from Friday the 21st to Sunday 23rd of March. 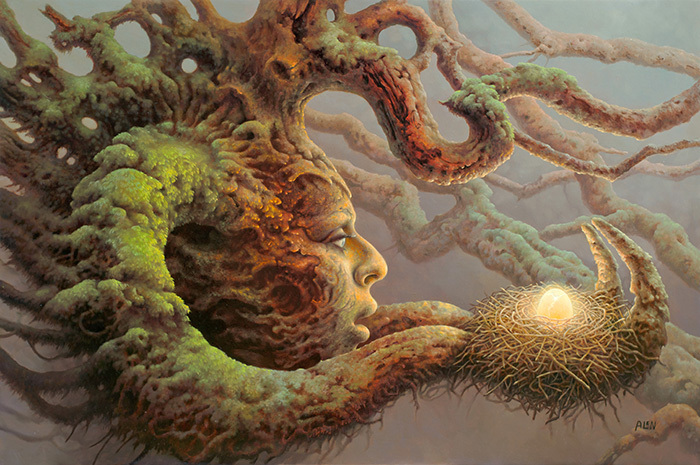 You have the chance to see the end product of Tomasz Alen Kopera ’s talent and imagination with your own eyes. Human nature and the mysteries of the Universe are his inspiration. 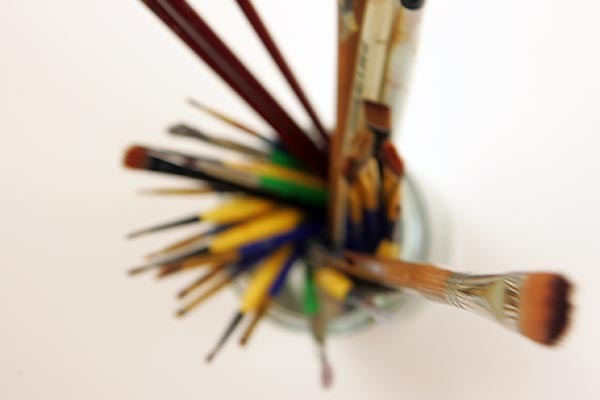 Each painting motivates thought, challenging our initial response. Sometimes darkness will prevail, at other times, light. He is celebrated in visionary art circles for his acute attention to detail, mastery of colour and bold use of subject matter. 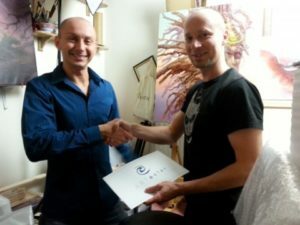 Upcoming show Antiques Art & Interiors Fair in RDS will feature some of Kopera ’s work. The event will be held on 21st to 23rd of March in RDS, Hall 1 in Dublin. Make sure you come visit and see his beautiful art with your own eyes.